Welcome to Emmanuel College Art Department Collaborative Lab! These functional ware were created in collaboration between my students and myself at Emmanuel College in Boston. + students or I design a cup and produce casting molds. 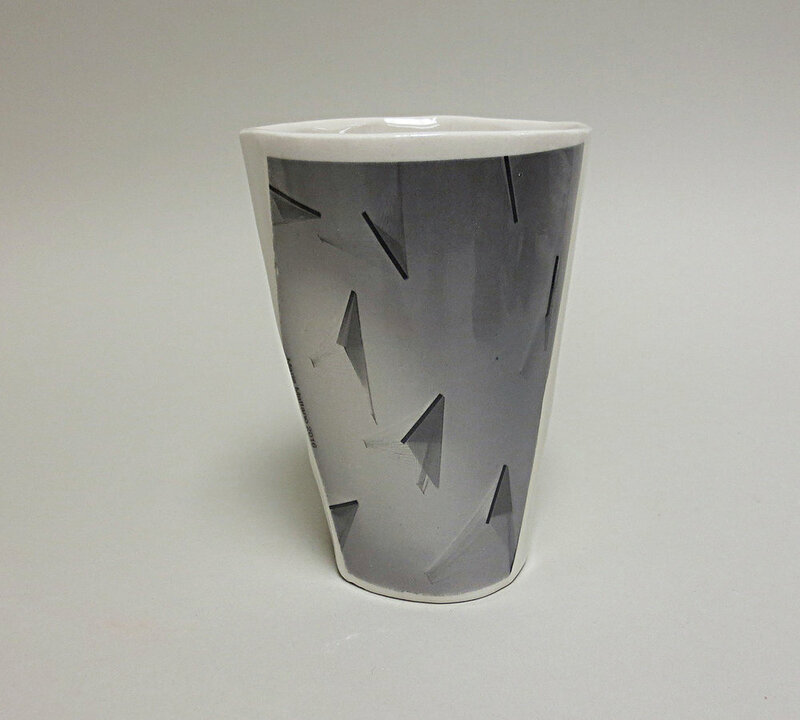 + students supply their artwork to be digitized and transformed into ceramic decal, and applied on to the cup. These cups promote students' art work. They are produced for the purpose of fundraising. The proceeds go to Emmanuel College Art Department Scholarship Fund. Our skull cup was featured on "Studio Potter" Jan. 2017!